Samsung is teaming up with DC Comics and appears to be creating an Injustice: Gods Among Us smartphone. Details are scarce, but maybe part of a bigger series, the device being teased on Twitter is a Batman-themed Galaxy S7 Edge. Oh my gawd. 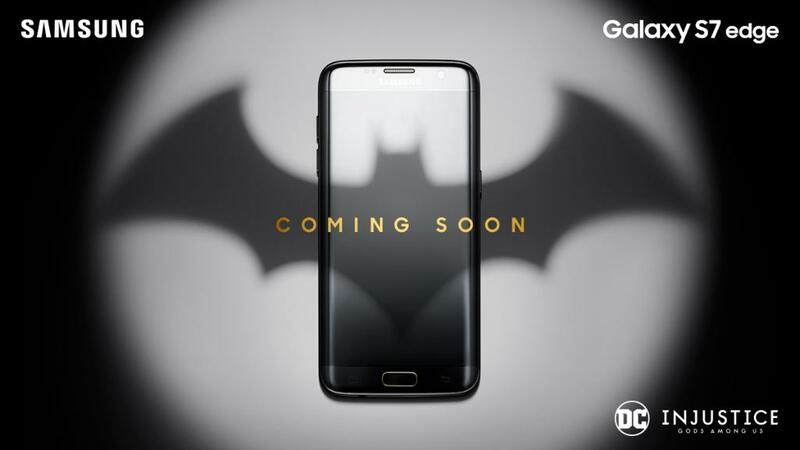 Much like we saw last year with the release of a limited Iron Man-themed Galaxy S6 Edge, our belief is that this Batman phone will be pretty much your standard Galaxy S7 Edge, but entirely blacked out. We may even see a few special themes for TouchWiz, all Batman-esque, complete with custom icons and wallpapers. At this time, release and availability is unknown, but I would suspect the device will be very limited in quantity. If you want one, keep your eyes peeled to Samsung’s Twitter and DL. UPDATE: Here is the unboxing of it!